Established in 1992, DevCorp has become a leading provider of contract financing for small and middle market construction contractors. Currently, this financing is provided by two programs entitled the Contract Financing Facility (CFF) and the Supply Contract Financing Facility (SCFP). The CFF, as well as the SCFP, can be used on both public and private projects as a means of supporting local contractor participation on medium to large construction projects. 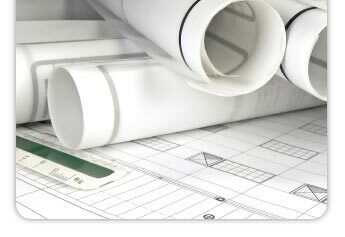 Unique to DevCorp’s programs is our in-house authority for contract financing and supply contract financing. There are two key advantages to these financing programs. First, both the CFF and SCFP are in-house facilities. This means DevCorp controls and administers the underwriting criteria which are used to determine whether or not a contractor is qualified to obtain financing. This ownership has enabled us to develop program protocols appropriate for its target markets. For example, many contractors in DevCorp’s target market have the technical capacity to perform the work but have some kind of financial capacity issue. We have been able to negotiate protocols with our source of funds which empowers us to provide financing to financially-challenged contractors while still minimizing risk of loss or default. For instance, a key protocol is that all funds must be disbursed through a third party administrator to increase fiscal responsibility and decrease risk of loss. 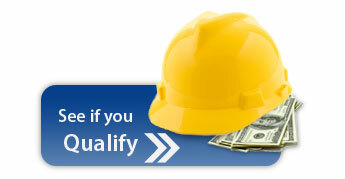 This is a win-win solution for a difficult issue which has prevented contractors from obtaining financing in the past. These kinds of solutions are possible because the CFF and SCFP are in-house facilities. The second key advantage of DevCorp’s CFF and SCFP is that the cost of funds obtained through the CFF are significantly lower than the costs of funds charged by factors and competitive with the costs of funds charged by traditional asset based lenders. This enables small contractors to obtain the financing they need without sacrificing profitability. To date over 500 contracts that have been awarded and successfully completed using DevCorp’s financing programs. Additionally, over $50 million of contract financing loans have been provided to local small businesses.